Thank you to Leslie Knope for bringing this celebration of “ovaries before brovaries" into our lives! Rose petals, candles and romantic dinners with your significant other may be your thing, but if you’re longing for a day to celebrate the love you have for your girlfriends, look no further than Galentine’s Day. This glorious February 13 fictional holiday, which has caught on in the real world, was created by Leslie Knope from the sitcom Parks and Recreation. It’s all about ladies celebrating ladies. So, ditch your significant other and grab your girlfriends to celebrate each other with these five unique Galentine’s Day ideas. You can easily create your own spa night in your apartment. Ask each one of your girlfriends to bring over their favorite nail polish colors and give each other mani-pedis. You can also mix together some ingredients you likely have laying around your apartment like avocados, honey or egg whites to create homemade face masks to soften your skin and leave it glowing. Lay out a few snacks and, of course, don’t forget a bottle of bubbly or two. Invite your girlfriends over to your apartment and host them for a themed multi-course meal. You can decorate your apartment to set the mood for your theme, create cute menus, layout a fancy table set-up and select a playlist that matches your food and décor. If cooking the meal yourself is out of your comfort zone, you can ask your girlfriends to bring appetizers or desserts so you can focus solely on the main course. Do some investigating and find out if your city or town hosts a sip and paint night. At a sip and paint, an instructor will walk you through the steps to take to create a painting, while sipping on your favorite drink. Don’t have a sip and paint locally? You could host one in your apartment! Head to your local art store to grab some paints, brushes and a few canvases and let your creativity flow. If you would still like a guided session, you can look for a YouTube video or pop on some Bob Ross on Netflix. If you and your gals are into fitness, spend a night together going to a new fitness class followed by a healthy meal out. You could try kickboxing, dance class or bootcamp. Find a few options and take a poll to pick the group favorite. With all the sweets that are circulating around Valentine’s Day, a night of heart-healthy sweating and healthy food can be a perfect idea. Game nights can be a blast, and there are so many ways you can do them. You can host a game night in your apartment and have everyone bring over their favorite game, head out to a board game cafe or test your problem-solving skills at an Escape Room. Take a page from Leslie Knope’s book and spend some time with your girlfriend’s this Galentine’s Day. After all, doesn’t the love you have for your favorite ladies deserve to be celebrated? Linzi MartinLinzi Martin has been a freelance writer for over five years. 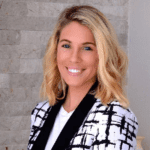 A Florida native, Linzi resides in Delray Beach, where she works as a content marketer and writer for small-to-medium sized businesses around the globe. Her work has been featured by the Porcaro Law Group, VoyageMIA and The Connect Magazine, just to name a few. Renting means you don’t get carte blance when it comes to decorating, so it’s time to get creative.